Both homes are being offered as short-term rentals. Rates vary from season to season, your length of stay and the number of guests in your party. Please call for pricing. Desert Oak‘s flexible plan allows the Main House [sleeps 8] or the Suite to be rented individually. They are usually combined to create a 5 bedroom, 3 bath, 2 kitchen home, that will comfortably accommodate a maximum of 12 guests. Compound at Stargazer is 2 homes side by side creating a 6 bedroom 4 bath property that can sleep up to a maximum of 17 guests. 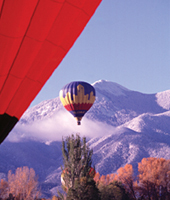 We believe our rates are competitive with any comparable home in Taos, please let us know if you find differently. Your reservation with us is unlike a hotel reservation, in that you have committed to all the dates of your booking. Both vacation rentals are privately owned and the owner has taken these dates off the market to accommodate you, hence the following terms. Deposits: We require a 50% deposit. Your final payment of 50% is due a month prior to your arrival date. Confirmation, Rental Agreement with Policies, and Area information will be sent via Priority Mail once deposit is received. Cancellation: Money can only be refunded if the property is rebooked. We suggest Travel Guard Insurance with each rental. Smoking: All homes prohibit smoking. Pets: Only Home B at Compound at Stargazer is pet friendly (with prior approval, signed agreement, additional fee & damage deposit). Guest must clean up after their pet inside the home and out. Personal Items Left in Home: Please contact us as soon as you know you have left an item in the rental home you would like returned. Though we are not responsible for items left, effort will be made to return your item back to you. Please call immediately if you detect any maintenance issue or unsafe situation.